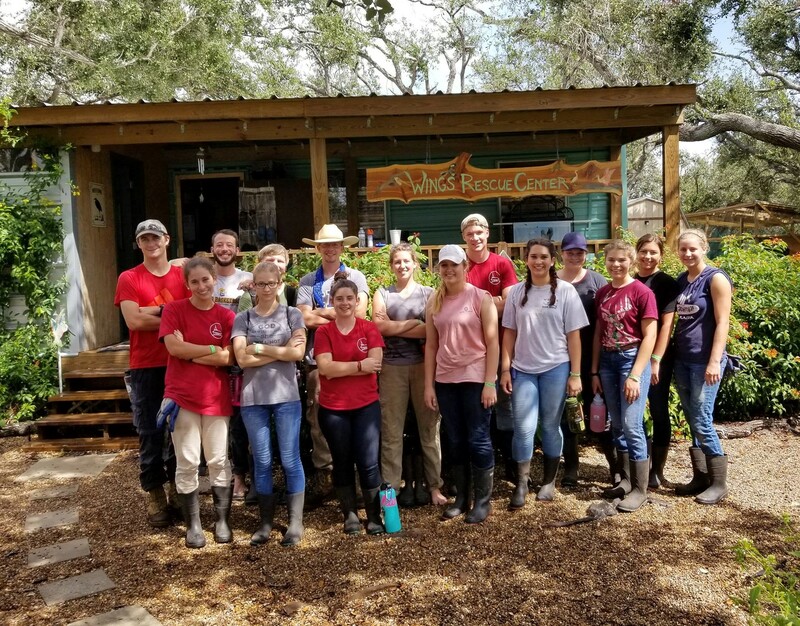 A group of young people from His Hill Bible School in Comfort, TX spent the day helping Wings Rescue Center with some of the hard work needed in rebuilding. The students cleared some land by hand where additional bird pens will be built. 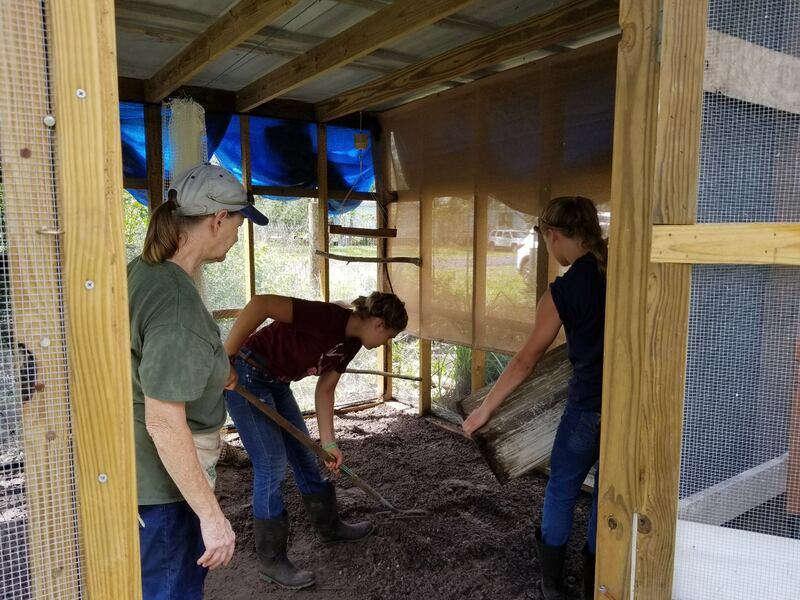 They also cleaned small bird pens and added perches and netting. After their work, they enjoyed a hot dog lunch provided by Wings volunteers.